Adventures in the Endless Pursuit of Entertainment: Happy Burns Night! 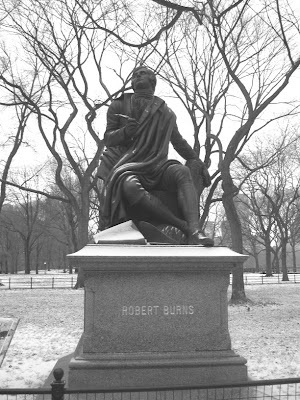 Happy 250th Birthday to Robbie Burns! Come have Supper with me tonight, but don't expect a haggis! And surely ye'll be your pint stowp! Steve, my mother is Glaswegian and even SHE refuses to touch it! I took one look at it during my one and only visit to Edinburgh and I just didn't have the stomach for it. Although I did love Scotland!